The transport industry’s leading trade fair, InnoTrans, was the site today of the launch of the inaugural Global SNCF Mobility Index. A unique collaboration between The Global Journal and French rail company SNCF, the data-driven index features in-depth analysis of mobility challenges facing over 60 governments around the world. The Global SNCF Mobility Index is part of the GLOBAL+5 initiative, the first ever ‘festival of global governance’ that will take place in Geneva on 9-10 October 2012. GLOBAL+5 participants will discuss and vote on innovative projects and ideas that help to solve global challenges over the next 5 years. 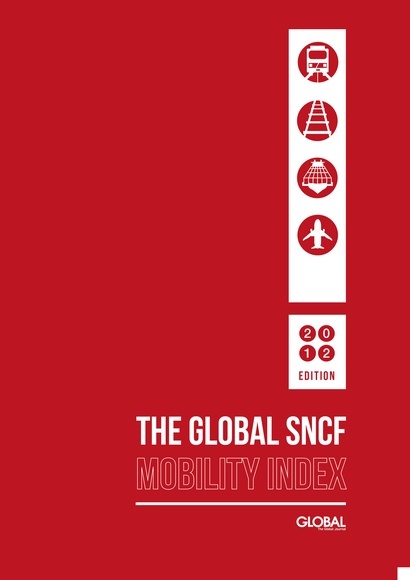 “The Global SNCF Mobility Index is the first in-depth attempt to better understand the sustainability of mobility of goods and people on a country-level. This will hopefully be a tool for decision-makers to approach this topic in a more holistic manner,” said the Index’s author, André Schneider. Published by The Global Journal, The Global SNCF Mobility Index demonstrates how transport systems can act as both drivers and barriers to sustainable development, linked closely to environmental, societal and economic factors. A per-country tool and set of rankings integrating global and regional perspectives, the index aims to drive discussion about the evolving mobility challenges that policy-makers will need to grapple with in the next five years. The publication has a deliberately wide scope, with a focus on 66 countries encompassing three important sub-groupings: the European Union, the G20 and the BRICs. More specifically, The Global SNCF Mobility Index assesses: the impact of economic performance on mobility; the stresses generated by population growth, urbanization growth and demographic evolution on regional and urban mobility; the environmental impact of mobility systems and infrastructure; and the likely effect of future investment strategies on existing trends. While the first edition of the index presents a broad range of mobility data and analysis – in the process raising a number of important questions about the wisdom of certain national-level policies – Schneider identifies two key emerging challenges that will require dedicated action in the years ahead. Firstly, transport volume and distance is growing faster than GDP, both globally, and for half of the G20 countries. This points to an important future bottleneck for the global exchange of goods. Secondly, CO2 emissions from transport grew for 58 of the 66 countries reviewed during the period 2000-2008, suggesting the sector represented a significant challenge to achieving the emissions reductions sought under the Kyoto Protocol.